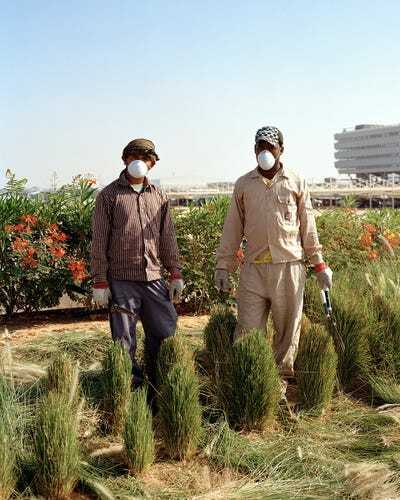 Twenty miles outside of Abu Dhabi, what was once a barren patch of desert is now on its way to becoming the world’s most sustainable eco-city. The Masdar Project is the United Arab Emirates’ planned city of the future, complete with state-of-the-art technology and energy-efficient transportation systems. In a country built on oil, a car-free, solar-powered community is certainly an anomaly. 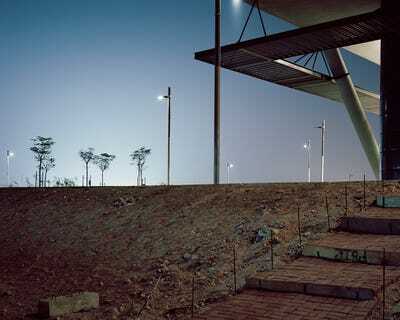 French photographer Etienne Malapert was enthralled by the idea of a green city in a land of black gold. 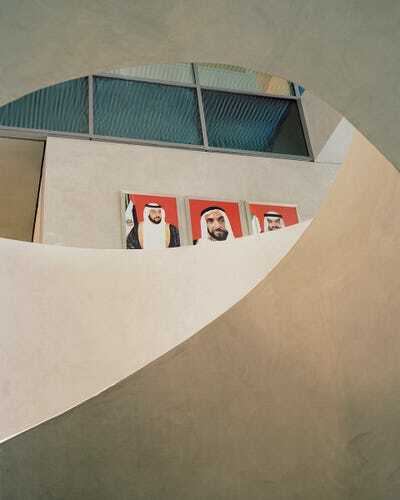 In his final year at the Art School of Lausanne in Switzerland, he documented the strange environment of Masdar City. 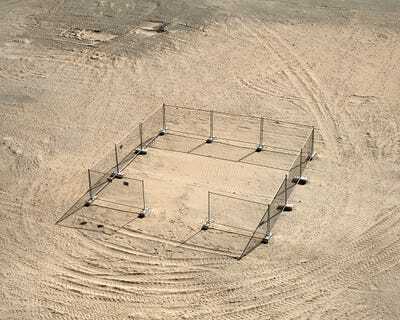 What he found was an incomplete and alien site, an otherworldly land left sparse by the 2008 economic meltdown. Malapert has shared his stunning series, “City of Possibilities,” with Business Insider. 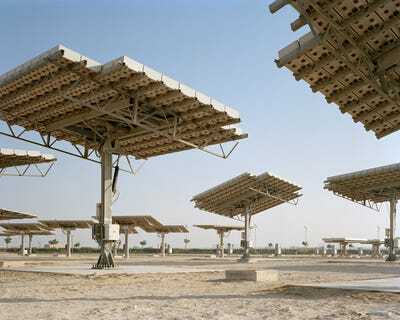 The site of Masdar City is roughly 20 miles from the center of Abu Dhabi on the Persian Gulf. 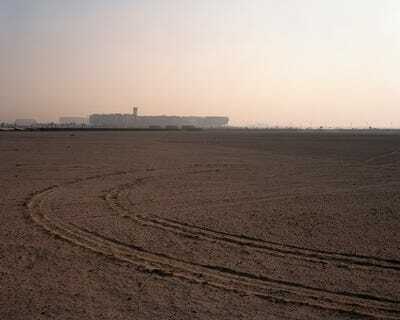 It's right next to the Abu Dhabi International Airport and covers two square miles. Construction began in 2008, with the first phase estimated to be complete by 2009. However, the global economic downturn of 2008 pushed back completion of Phase 1 until 2015, and only a handful of buildings have emerged from the sand so far. Masdar will be home to the Masdar Institute of Science and Technology, which will teach students the latest in renewable energy methods, efficient urban planning and architecture, and environmental policy. The city will also host the headquarters of the International Renewable Energy Agency, an intergovernmental agency formed in 2009. It has 143 member countries so far. Rooftop solar arrays, as well as a 54-acre solar panel field, power the entire city and divert more than 15,000 tons of carbon dioxide emissions every year. The city has no light switches or water taps; lights and faucets are triggered by motion sensors, reducing energy and water usage by nearly 40%. A few thousand people live in the city today, far from UAE's original goal of 50,000 inhabitants by 2015. Since the completion date is now unknown, there's no way of knowing when -- or if -- Masdar will be considered a successful venture. 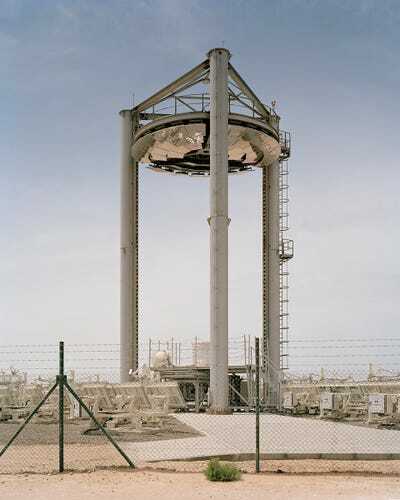 Many sites are unfinished still, as the 2008 crisis brought about an abrupt end to Abu Dhabi's nearly limitless funding for the project. 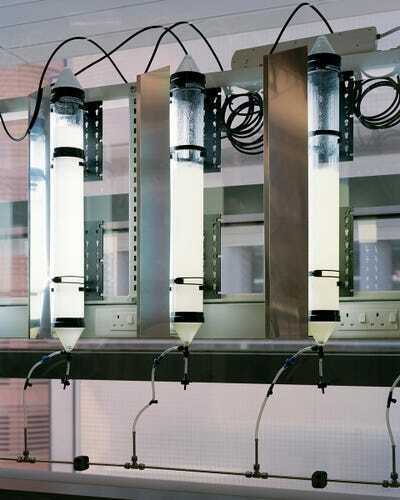 The city was also planned to be a green technology hub, allowing space for research laboratories and green startups. And while many of these startups have yet to materialise, a handful of large multinational corporations have pledged to build regional offices at Masdar, including Lockheed Martin, General Electric, and Siemens. 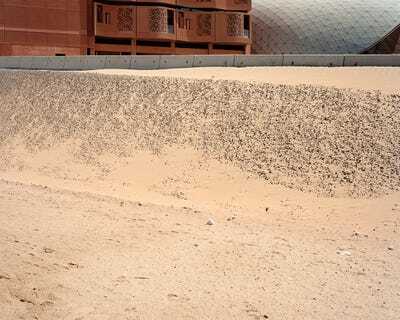 Of course, an issue facing many cities across the world is affecting Masdar as well. There's a current lack of affordable living space -- or any living space, really -- in the city, and most of the workers and students who come to Masdar are commuters. This poses quite the dilemma for a city that was supposed to be car-free. 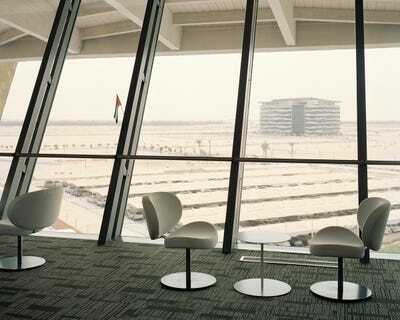 Commuters have no choice but to drive, especially since Masdar's planned point-to-point personal rapid transit system was all but scrapped after the pilot system was put in place. However, as work slowly progresses, an electric vehicle car-share program as well as a potential electric bus system are in the works. And the Masdar Institute is enjoying increased success, with a student body numbering nearly 500 students from 66 countries for fall 2014. All full-time students admitted to the institute receive a full scholarship as well, which makes it an excellent choice for those who are admitted. 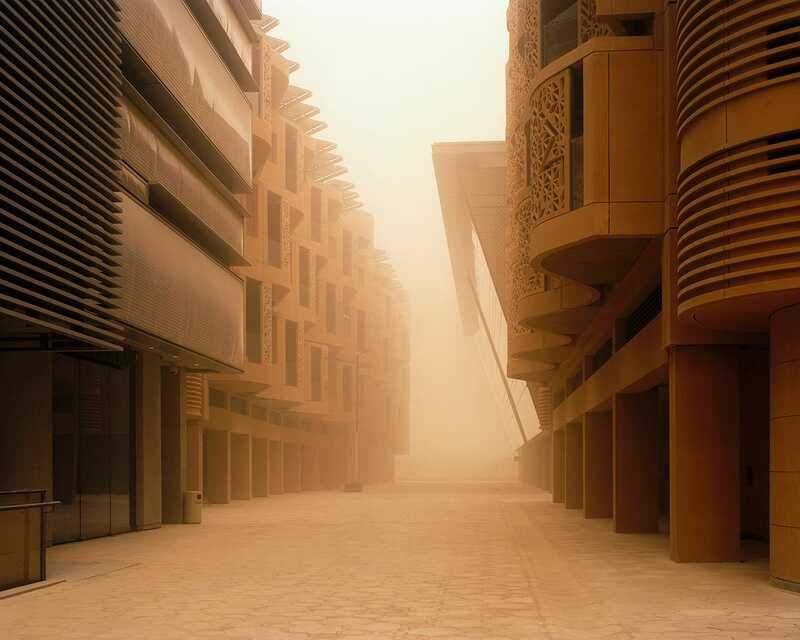 So while the city seems eerily empty and lunar in Malapert's images, Masdar is slowly gaining ground -- very slowly, but nonetheless moving forward. Malapert's series captures a 'City of Possibilities' suspended in time. There's hope that the city will still be completed, but when that will be is still in question. Even so, the hope of a practical post-oil future is a promising one.